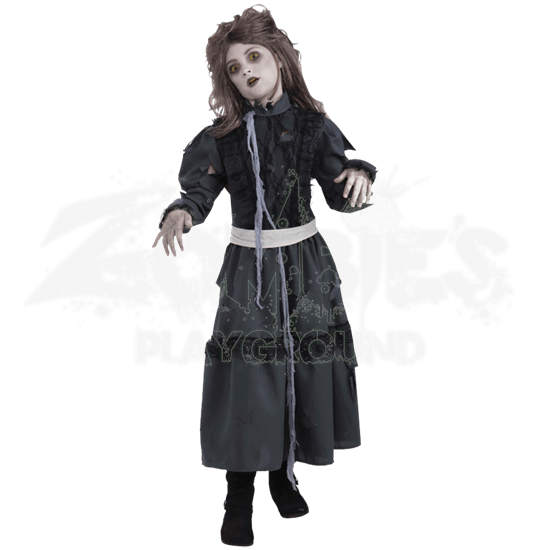 Dress your little one in this Zombie Girl Costume and she will look like a tiny gothic beauty. She will also happen to look like a member of the walking dead, as well as possibly the only zombie in history to be labeled cute. This costume features a pretty old-world style dress that is predominantly gray in color. The dress is tattered and torn in places, primarily around the high collar and the sleeves, although small tears decorate the bodice and the skirt of the dress as well. Black lace decorates the body, skirt, and sleeves, adding a touch of elegance to this ghoulishly gothic costume. Strands of tattered gauze are attached to the dress to enhance its undead feel, while a belt is included to pull the whole outfit together. This costume is available in three different sizes. It includes only the dress with attached gauze and the belt. The wig, makeup, and shoes shown are not included. 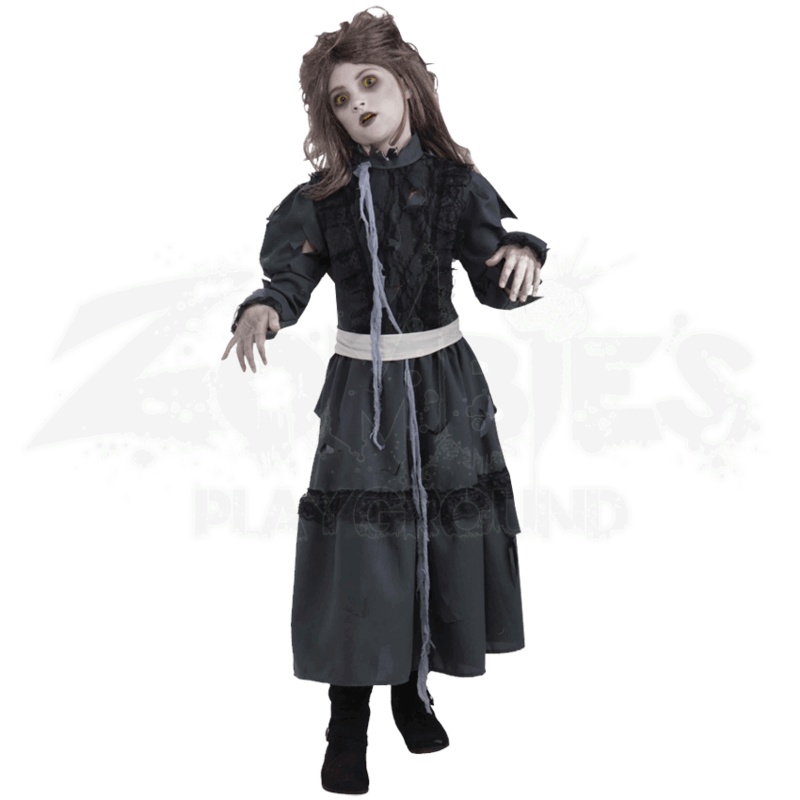 Far from the traditional bloody and gory zombie, the Zombie Girl Costume creates a gothic and ghoulish zombie look that features elegance and style, rather than horror and gore, making it perfect for the girl who wants that ghoulish look without all that gory mess.